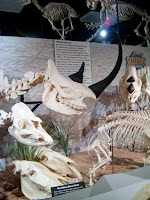 We started off our Orlando adventure with a trip to the Museum of Osteology, or the Bone Museum. 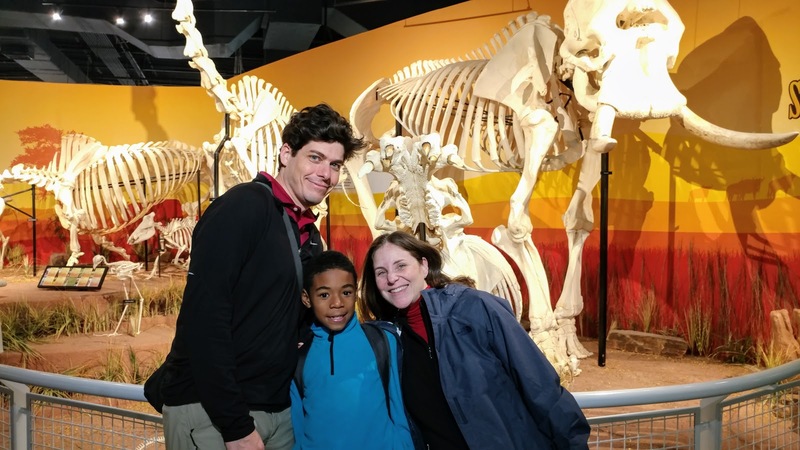 Even as you're paying the entrance fee, you can't help but notice the massive skeleton of the killer whale (if memory serves) that peeks out the gallery and think: c'mon, is this for real? I mean, this is Orlando, a place that specializes in fake make believe. But, as the signs on the wall repeatedly mention: it's all real. We made our way through the gallery and ooh'd and ahh'd at all the amazing skeletons on display. From massive rhinos to fragile looking bats, the museum had an impressive collection of all things vertebrate. 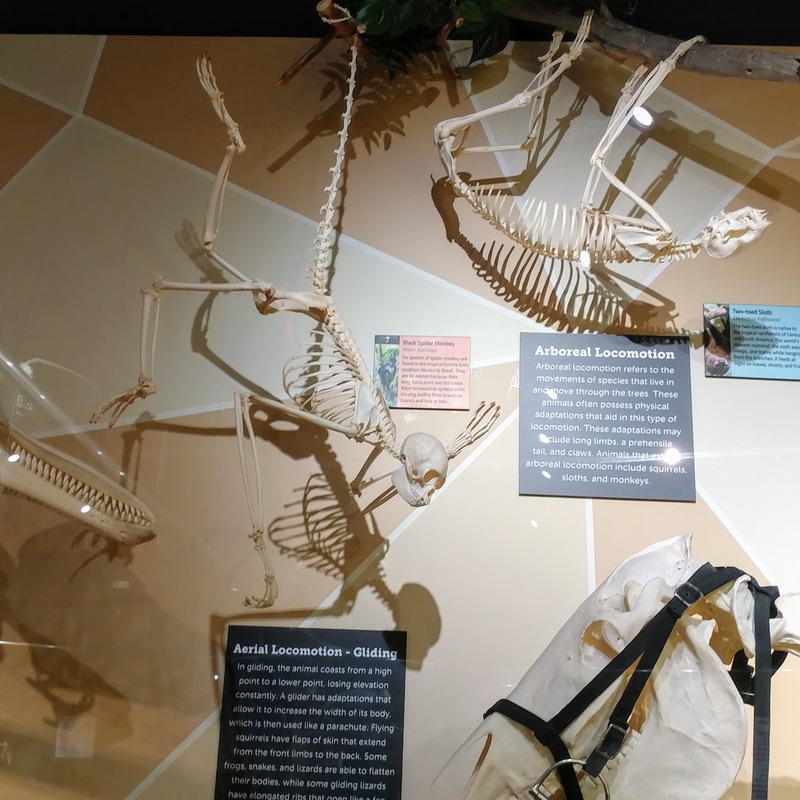 The skeletons are grouped not only by animal type, but also into fun displays. One of the first displays shows a human riding a horse. I think we blew J. 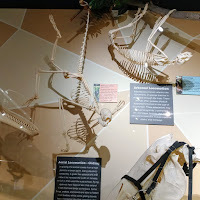 's mind when we pointed out that both humans and horses both clearly have tail bones. I can totally get how'd you'd find one of these and think: whoo! uh-oh, I've stumbled on cyclops remains! Alas, what looks to be a socket for a big 'ol eye is actually the elephant's nasal cavity. Another display I found fascinating was on the placement of eyes and the resulting field of vision. 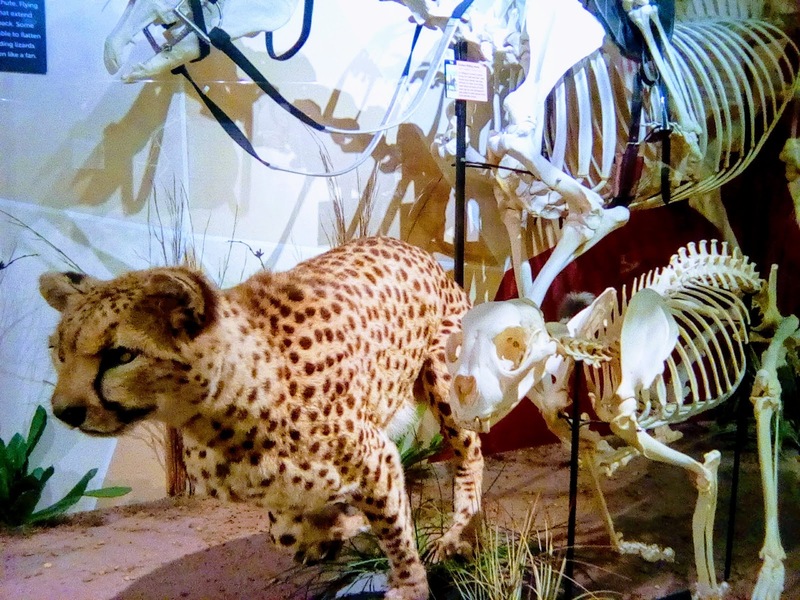 I believe the display compared a tiger and a gazelle. The tiger has vision not that far off from ours, but a gazelle's field of vision is massive. It's not hard to imagine how natural selection would work its magic to arrive at this distinction. 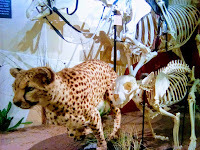 The gazelle who can't see the tiger lurking nearby gets eaten. The gazelle with better vision lives another day and makes more baby gazelles. You can read more about this phenomena here. On our way out of the museum we were chatting with one of the guides when he mentioned that the man who just walked by was the founder of the museum himself. Sure enough, it was Jay Villemarette. 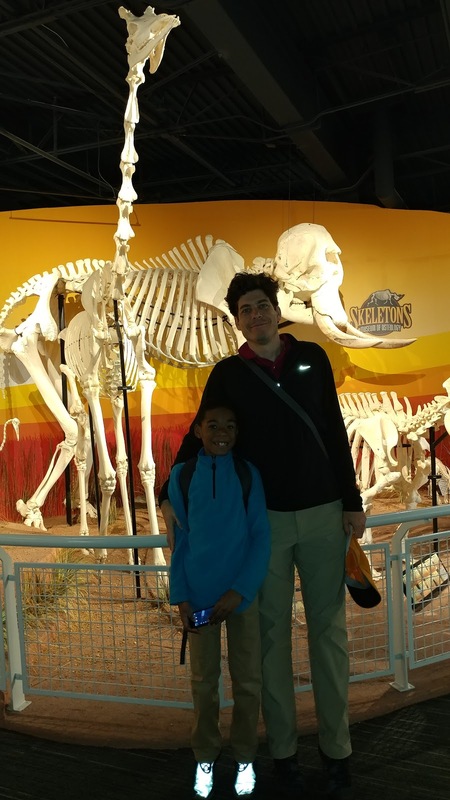 I asked Jay how he got into the bone business and he explained that he had found a skull in the woods when he was a 7 year old. Rather than recoiling in disgust, his parents encouraged him to ID it. And the rest, as they say, was history. In many ways, this little museum reminded me of Treasure Museum in Ocean City Maryland that we visited last year. Both are small, authentic, outstanding collections in areas dominated by schlock. In both cases, we had a chance to chat with the founders and learned that a young boy's interest can turn into a life long passion. 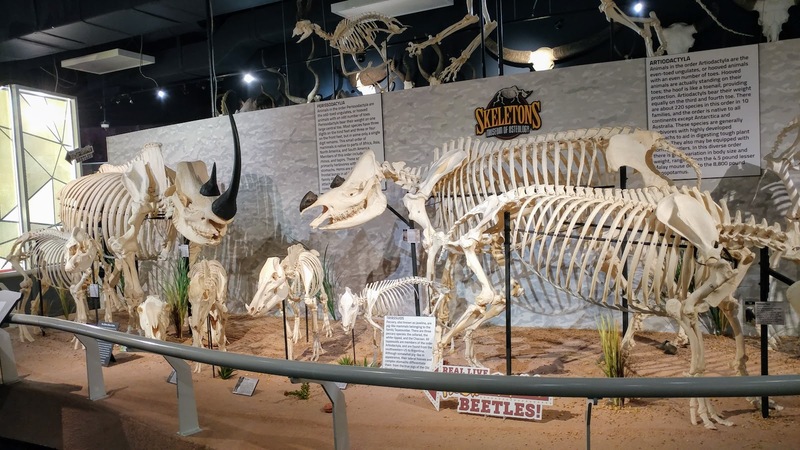 One word of caution: The Smithsonian's Natural History Museum has The Bone Hall which has many of the same specimens on display as the Museum of Osteology. 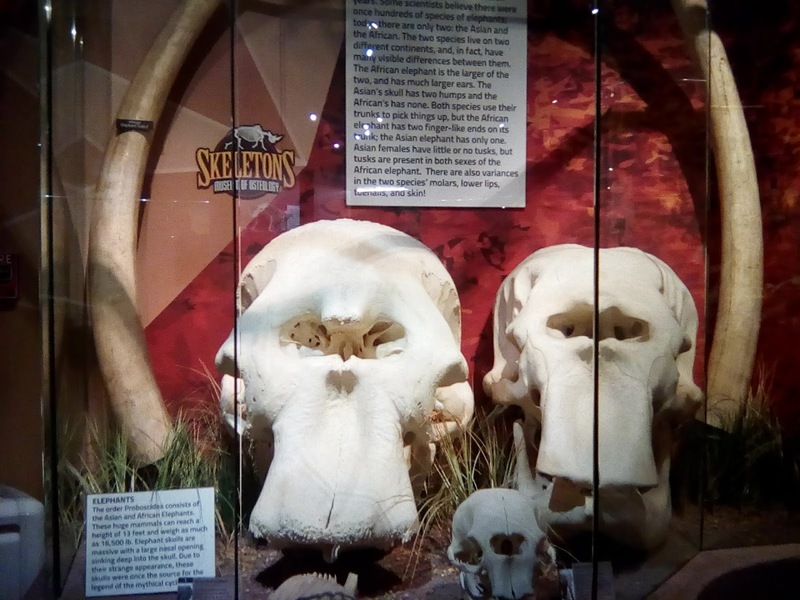 If you've been to the DC exhibit, then the Bone Museum is going be far less novel. 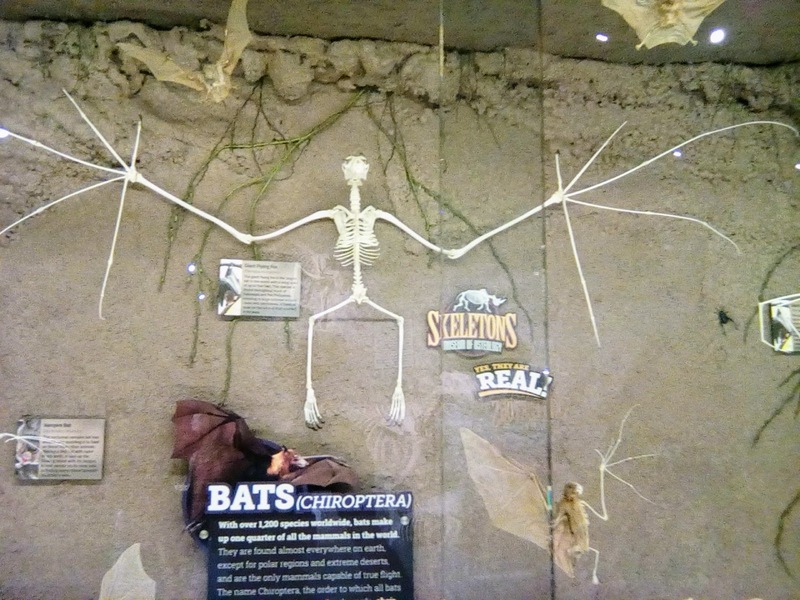 On the other hand, if you've never see a large display of various creatures' skeletons side by side, then this is a must see. Oh, and you can consider the flesh eating beetles the icing on the cake. Enjoy!